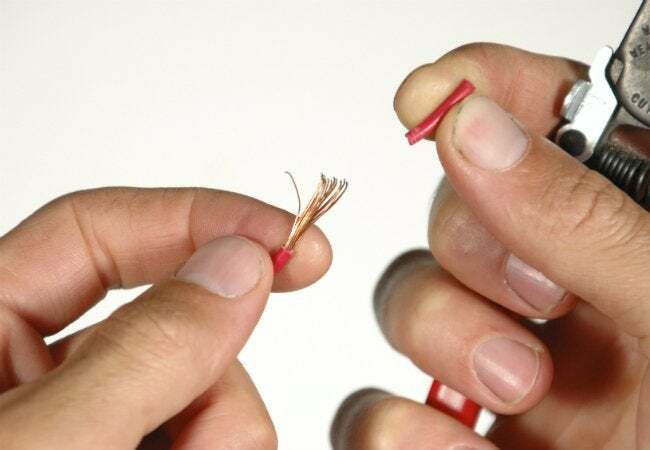 Kick off any easy, do-it-yourself electrical project with one of these three simple ways to strip wire. Think you need new tools? Think again: We guarantee you already have all you need on hand for at least one of these methods! Whether you’re rewiring an old lamp, installing a new doorbell, or adding another outlet to a wall, the first step to this sort of do-it-yourself maintenance project often involves stripping the sheathing from the wire. While this introduction to electrical work may seem scary, it’s a skill that’s not hard to master. Specialty tools can help you with the task, but aren’t a necessity; you can still get by just fine without them with a little bit of practice. Learn how to strip wire—any type, using whatever tools you have on hand—and you’ll soon be tackling future home wiring tasks with confidence. 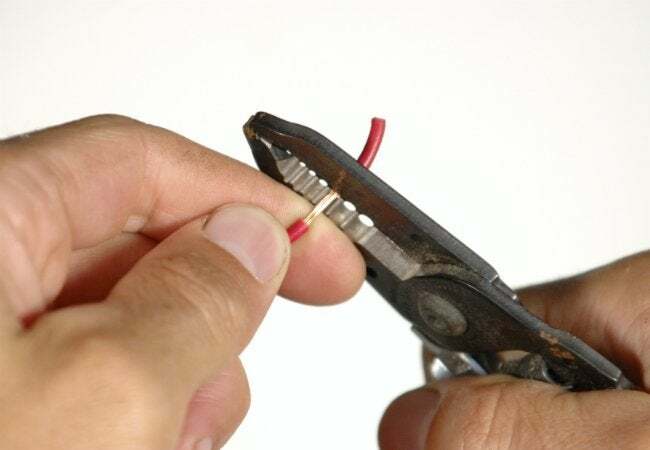 A wire stripper can make DIY electrical work especially easy for a beginner, outfitted with several notches that correspond to various wire gauges. To strip wire using this specialty tool, first identify the gauge of the wire you plan to strip by comparing it to the guide along the side of the stripper. Then place the tip of the wire (about 1-½ inches from the end) into the jaws of the wire stripper, notched in the appropriate space for its gauge. Close the wire strippers around the wire so that it cuts through the wire’s exterior sheathing. Then, with the jaws of the wire strippers still closed, pull the sheathing off the end of the wire. If you don’t have a specialty tool for the job, don’t dismay. A resourceful DIYer can still figure out how to strip wire as long as he or she has an implement sharp enough to cut the sheathing, like a utility knife, a pair of scissors, or even a sharp pocket knife. The process is similar, but takes a little more practice to get just the right touch—enough pressure to cut off the sheathing without damaging the actual metal wires. Lay the wire across a workbench or piece of wood. 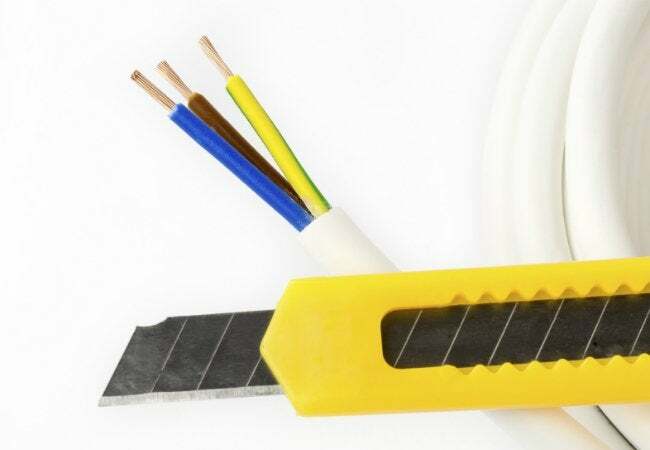 In one hand, hold the utility knife so that its blade gently rests on the wire’s sheathing at the exact point you intend to cut to strip it off. Use the other hand to roll the wire across the work surface so that the blade scores the sheathing all the way around the wire. Pull the sheathing off with your fingers, and inspect the wire beneath to make sure no damage has been done. Open the scissors halfway and fit your wire as close as possible to where the blades meet. 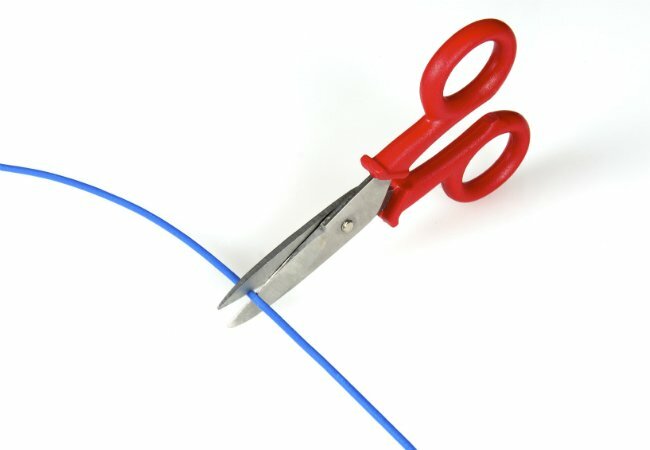 With just the slightest pressure, begin to close the scissors—you want to bite into the sheathing but not cut through the wire. Use your fingers to twist the wire around within the open scissors so that the sheathing gets completely scored by the pair of blades. Once the end sheathing has been separated, go ahead and pull it off. It really is that simple. As mentioned, take care to not be so overzealous with the task that you accidentally nick or the insulation or wiring beneath the sheathing. Worst case scenario, you can lop off the end of the wire and start over. With a little bit of practice, some concentration, and a steady hand, you’ll be prepared for how to strip wire for any DIY electrical project quickly and cleanly.